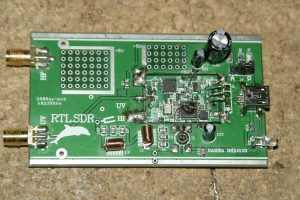 In eBay I found a cheap RTL-SDR with direct sampler modification, what can used from 0.100 Khz up to 1.7 GHz. It was not simple to build ! 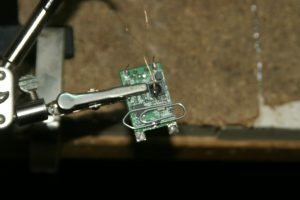 You need a lot of SMD practice. Here you can see the size of the IC in the right. But to use as a Panorama Display you must share your antenna, what is connected at your transceiver, with the SDR. 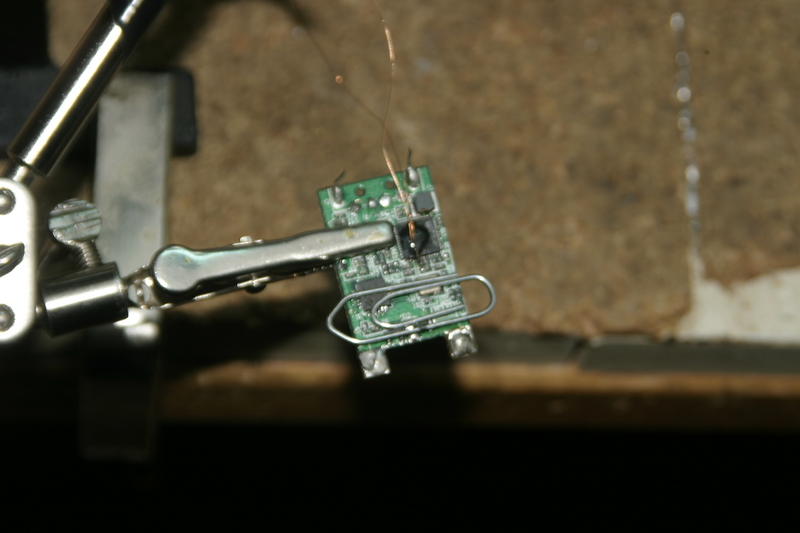 To do this you need a Splitter, what disconnect and ground the SDR from the antenna, if your transceiver is sending. I build this from old parts out of the box in a old QRV-20 antenna switch case. The capacitor is a 1nF with 1 KV. 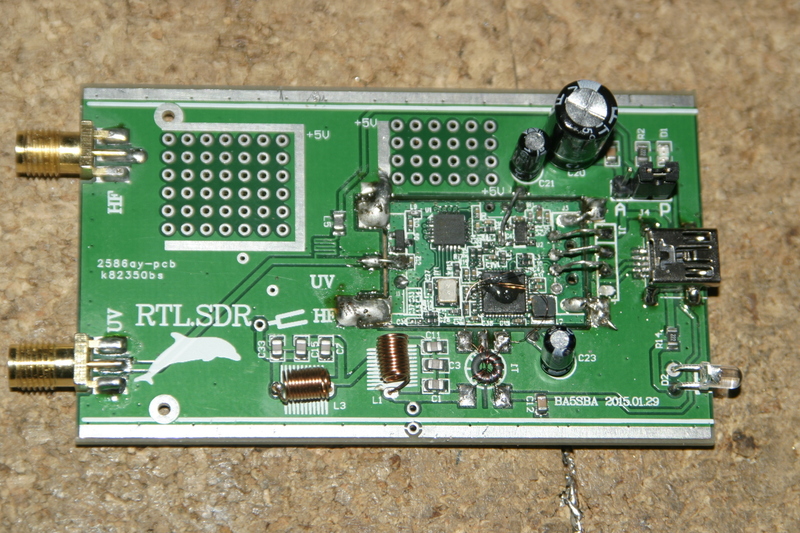 At the left side are the transceiver, at the middle the SDR and at the right the antenna. 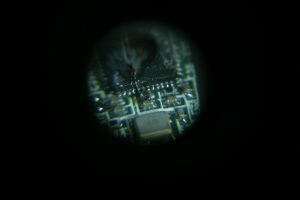 The Relais disconnect the middle SDR Plug from the antenna and ground the middle pin of this plug. This will happend, if the Relais get power from the PTT jack from your transceiver. If this PTT jack is used by your linear, you must build a PTT share box at first. I do this with two sub Relais. 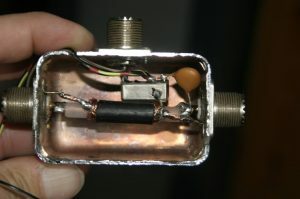 You can build line this a box what can connect to your Transceiver and have 2 or more jacks for further “PTT Clients”.